When society falls, we rise. Get the latest deals on The Division CD Keys & Codes for the PC, PS4, and Xbox here and traverse yourself in a frighteningly chaotic and devastated New York City! Restore order, team up with other allies, and take back New York. PlayerAuctions has the sweetest deals just for you. MMOs and shooters are two genres that usually have nothing to do with each other. But if done right, it can be one solid gaming experience. A game with thousands of players simultaneously logged in on a megaserver, all of them with guns – a bit scary when imagined from a real world perspective, but incredibly cool from a gamer point of view. That is the vision behind Tom Clancy's The Divison, an open-world MMO third-world shooter. 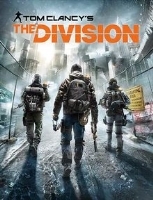 And to make sure that everyone can be in on this MMO, there is The Division PS4 and Xbox One, and The Division PC. The game is set in present-day New York, on a Black Friday. What everyone thought would be a normal shopping holiday became a nightmare when a smallpox pandemic seized the city without any warning. The outbreak caused pandemonium, and forced the US government to not only quarantine it, but also activate sleeper agents within its walls. These sleeper agents are under the Strategic Homeland Division, or just “The Division”, and are tasked with assisting emergency responders in bringing back the peace and order. What makes the game unique is that it integrates many elements from shooters and MMORPGs. For the latter, there are firefights, which, obviously, entail the use of guns, with each one of them having a unique set of advantages and disadvantages. In addition to the use of guns, players can also use their surroundings to have a bit of an edge in battle. And for the MMORPG elements, the game adopts a progression by giving players levels that progress every time players gain XP, which in turn is earned by completing objectives and fighting enemies. As they gain levels, players can gain skills that can help them in battle. Players can also obtain equipment, which give them attribute bonuses. Because of its pre-post-apocalyptic real-world setting and creative MMO Approach, The Division PS4 – or any other consoles, is definitely worth a play. 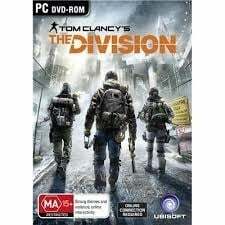 And if you're looking for a copy, a The Division PC Key, or other items related to the game, then you need not look any further, because we got them here at PlayerAuctions. PlayerAuctions is a player-to-player online trading platform. That means you don't buy The Division PS4 CD keys or codes from us, but from your fellow players. All we do is provide you with a secure and convenient place to transact. To make sure that your personal info is protected, we put in place the PlayerGuardian system. Also, to help you find a seller that's worthy of your trust and money, we have a five-tier PowerSeller system that you can use to see our sellers' reputation for yourself. And lastly, should you encounter any problem with our services, we have a 24/7 support team that are more than willing to help. Become part of The Division and save New York. It's a daunting task to take upon oneself, but with the help of PlayerAuctions, it's possible.